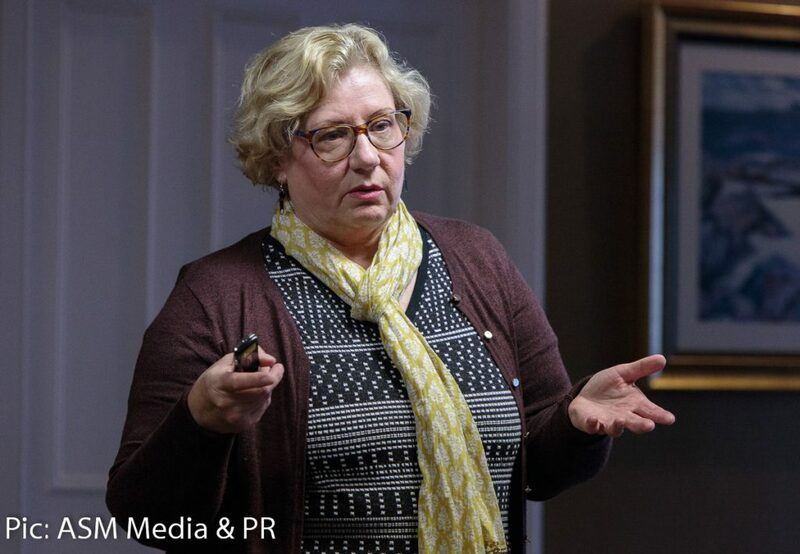 Business people from all over North-East Fife joined Members and Guests of St Andrews Business Club to hear to hear a very useful & entertaining talk about the latest changes in social media from social and digital media consultant Pauline Randall of Florizel Media. In the first open event of the club’s new season, Pauline told attendees about some of the latest changes they may have missed but which could be important to the marketing of their business. They included Facebook retiring some types of ads, Twitter enabling live video streaming directly from the app and using video with the LinkedIn mobile app. NEXT EVENT: The Club’s next event is the University of St Andrews Enterprise Week Keynote Event on October 11. Club Members should email their request for a ticket from the Club’s allocation ASAP. Our first business breakfast of the season follows on October 25.